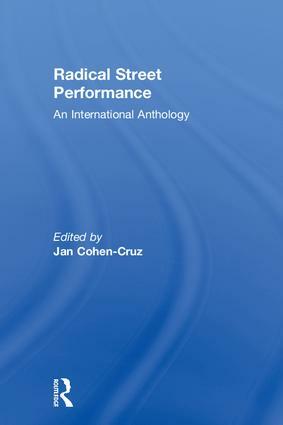 Radical Street Performance is the first volume to collect together the fascinating array of writings by activists, directors, performers, critics, scholars and journalists who have documented street theatre around the world. These essays look at performaces in Europe, Africa, China, India and both the Americas. They describe engagement with issues as diverse as abortion, colonialism, the environment and homophobia, to name only a few. Introduced by editor Jan Cohen-Cruz, the essays are organized into thematic sections: Agitating; Witnessing; Involving; Imagining; and Popularizing. Radical Street Performance is an inspiring testimony to this international performance phenomenon, and an invaluable record of a form of theatre which continues to flourish in a televisual age.